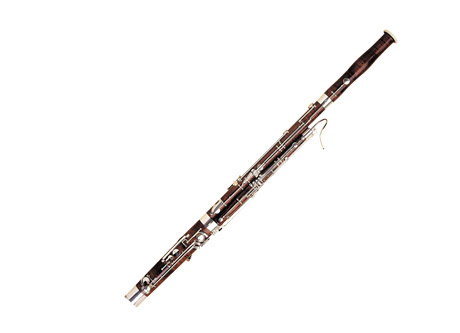 Because of its warm, dark, reedy timbre, the bassoon is often used to depict sadness or humor in TV and Film scores. 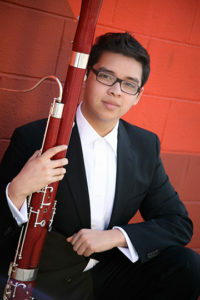 Joey Corral, bassoonist and Santa Monica native has been playing bassoon for the past 15 years. He attended Santa Monica High School and began his musical studies at Carnegie Mellon University (BFA), Temple University (MM) and finally at the University of Southern California (GC). While at the University of Southern California, Joey was a GLUCK fellow and a member of the Scholarship Wind Quintet. Throughout his schooling, Joey has been a fellow at the Banff International Music Festival, Bowdoin International Music Festival, and Domaine Forget. He’s worked with conductors such as Lukas Foss, Luis Biava, James Conlon, Carl St. Clair and Lior Shambadal. He’s had the opportunity to perform in master classes with Whitney Crockett, Frank Morelli, Benjamin Kamins and Gilbert Audin. Joey has performed with AYS and YMF Debut orchestras and occasionally teaches with YOLA. His principal teachers include John Campbell, Nancy Goeres, Phil Pandolfi, Angela Anderson-Smith and Judith Farmer.